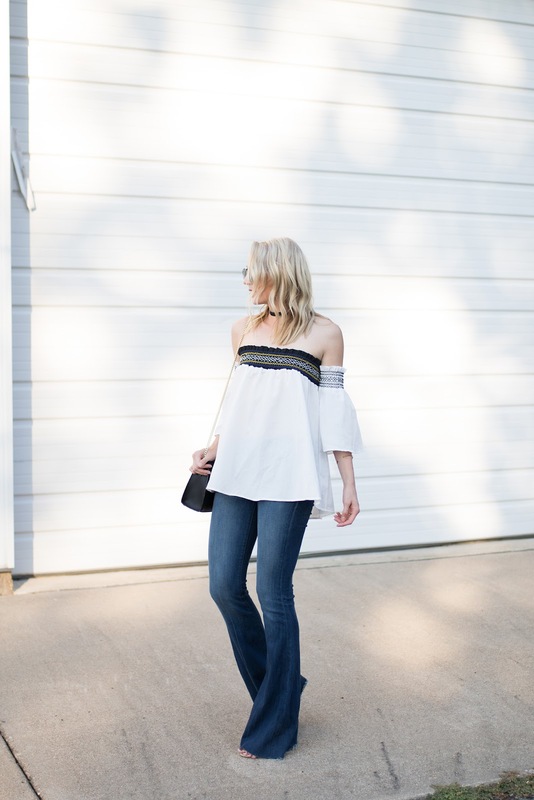 I know I say it every time I wear these flare jeans, but I am absolutely obsessed with them! 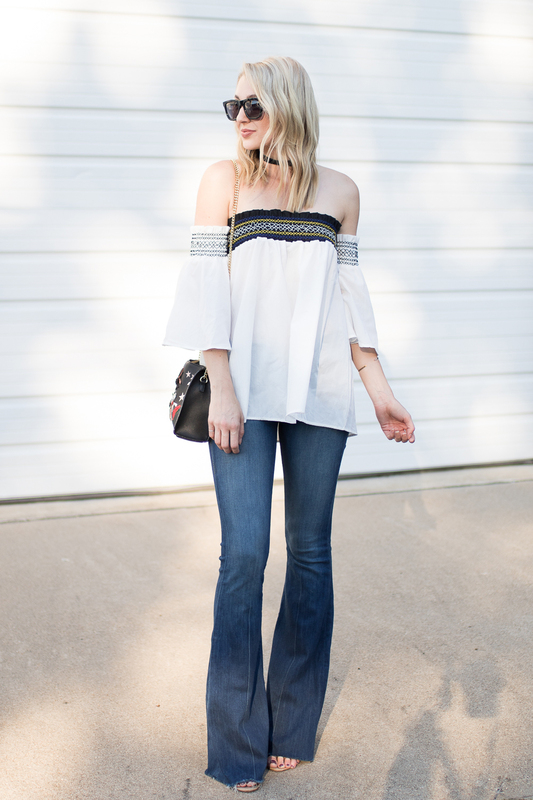 The denim is so soft, and every time I put them on I feel like I'm having a Rachel Zoe moment. In my book, that's an amazing, glamorous thing! This outfit is very voluminous, but for some reason I felt it worked. Also, kind of dying over that dappled light! I hope you ladies have a great weekend! This will be my first weekend at home in a month, so I'm giddy with excitement to just chill and try to get over the nasty chest cold I have! I get to do my oldest niece's hair and makeup tomorrow for her first homecoming dance, and I'm so excited about it - she's going to look extra stunning!